The first week of a new financial year is a good time to look at the market and perform a competitive review of your pricing strategy. We’ve had a number of conversations recently with clients about price, so thought it would be worth sharing some starting points here. To set a price strategy it’s first essential to get a picture of the market and where your products sit. Once this is clear (or clearer – it might take a few passes to refine) some internal review is required of sales, purchases and inventory (or stock). Analyse where sales are strongest. Do your purchases and inventory maximise the current sales? Where can you improve? Market review of Price… Look around, how does that compare to your competitors? It’s not just about how many but also what they are and where the break is, it can take some trial and error to get it ‘right’ for your business but finding that sweet spot in pricing. 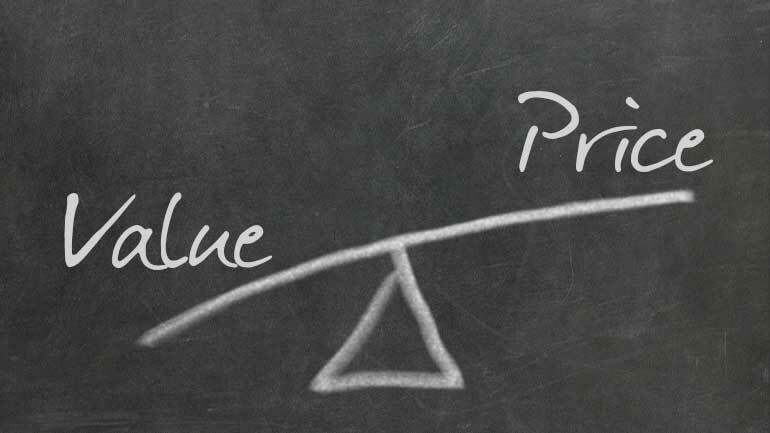 If you can put some effort into understanding at what price your customers see good value it makes selling a great product just that bit easier. Where are your sales coming from? Where is your stock sitting? Pick a key category, put your customer hat on and count how many options you offer in each price point. Write it down. Pick a competitor(s) and do the same. Plot the findings on a graph with ASP/Average Selling Price (Low) at one horizontal end and ASP (high) at the other. You can also add other value offerings such as if you are a fast fashion retailer add“Fashion Forward” at the top of the vertical and “Less Fashion Forward” at the other end or “Young” versus “Old”. For more detailed analysis, break price points up into brackets and compare sales and stock offerings. Here you can clearly see where you have a deep or wide offering and whether that offer is an opportunity or threat. Use these downloads to do a price comparison and analysis yourself or contact us for a deeper review. Want to read and learn more about price? Great article here from McKinsey insights. Found this helpful? Further questions? Please contact us, we would love to hear from you.